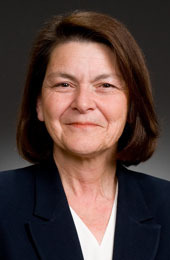 For over 25 years, Gwen Young has represented major automobile manufacturers in their dealer-related commercial disputes before state agencies and in federal and state trial and appellate courts. Throughout that time, she has also advised carmakers on compliance issues under auto franchise laws and worked with automotive clients and their lobbyists on proposed legislation in that field. In 2010, Gwen, along with her WTO franchise partners and lawyers from one other law firm, co-managed the litigation of over 400 arbitrations in 48 states for Chrysler Group during a federally mandated seven-month period following the bankruptcy of the former Chrysler LLC in 2009. 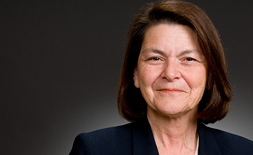 Among other key contributions, Gwen developed national strategy for the defense of the arbitrations, developed strategy for limited discovery across all cases, led and managed the discovery teams for approximately 200 arbitrations in the western United States, and vetted and trained non-franchise trial attorneys and experts in critical issues and strategies. In addition to her focus on auto franchise litigation, Gwen’s trial court and appellate litigation experience includes securities fraud, contract disputes, business torts, and other commercial litigation matters. Before joining WTO, Gwen headed her prior firm's discovery team in its role as co-national counsel for an auto manufacturer's pattern vehicle rollover litigation. More recently, Gwen developed the strategy and processes for coordinated discovery and led a team of attorneys in implementing that strategy as part of WTO’s representation as national coordinating and trial counsel for a major auto insurer’s enterprise litigation involving bad faith claims in medical payments cases. Gwen is an original partner of WTO. Gwen Young has more than 25 years of experience representing automobile manufacturers in complex and often contentious dealer disputes. She has consistently won critical battles for her clients in trials, appeals, arbitrations, and administrative proceedings.